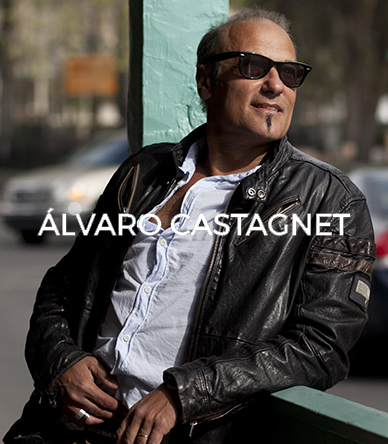 Home Blog Alvaro Castagnet, the Best Investment. The world of watercolor in recent years has acquired a leading role in the international art scene. Hundreds of thousands of people show their interest through modern means of communication, such as social networks, virtual press and streaming. Today watercolor is the great dominator of every possible technique when choosing how to develop our creative spirit, much faster, instinctive and adapted to our way of life. Currently the greatest exponent in the world of watercolor, with the largest number of followers, having received the best reviews by experts, with an incomparable merchandising of books, DVDs, paintings, brushes etc … and having obtained the most important awards at International level, like the Dolphin Fellowship. 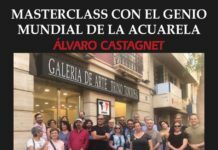 For this reason the world of collecting has focused its attention on this virtuous of penly and many of the best galleries in the world hang in their exclusive rooms, works by Alvaro Castagnet with the most important masters of universal painting. In just five years his paintings have multiplied their value by 10. The work of Alvaro Castagnet will continue rising progressively year by year, tending to prices more in keeping with its relevance in the art world and being able to reach one of the most spectacular increases that have taken place in the recent history of painting. Nowadays, his works can be seen in the Trino Tortosa Art Gallery in Almeria – Spain.